It was bright and sunny this morning, but there was frost on the vehicles. It clouded over again later in the afternoon. Just north of Calgary, there is the small village of Balzac. I don’t know if it even has a store anymore; two or three years ago we were able to get coffee there but that was about the only business in town. 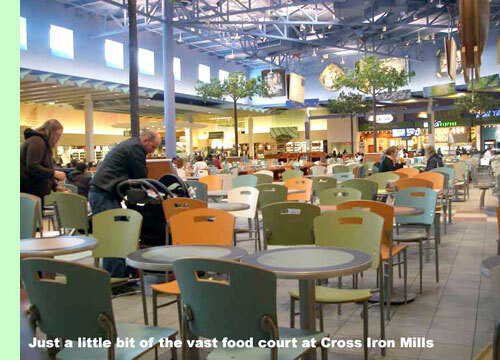 Just across the highway to the east, a huge mall is being built, called Cross Iron Mills. Phase One of three has been recently completed and we toured it last week. It was actually big enough to play out Doreen, Sandy and Lucille, the toughest shoppers in the world. In fact, I think they just passed by the last few shops to get to the vast food court. When Phases Two and Three are completed, it is reported that it will be a larger mall than the famous West Edmonton Mall. 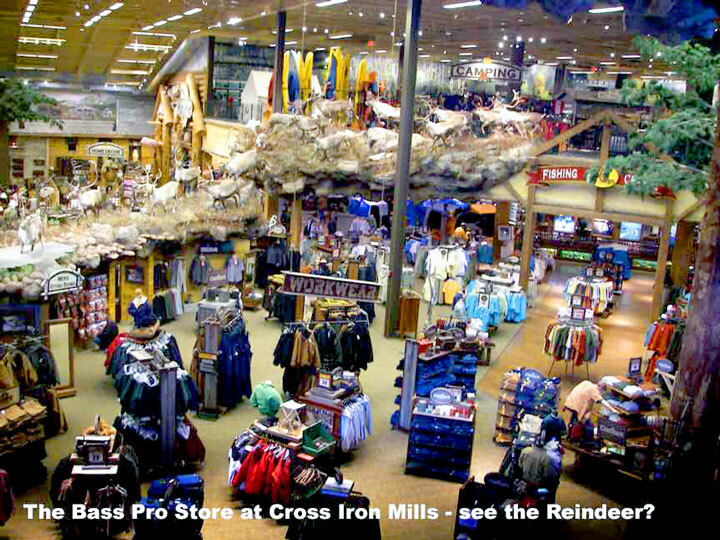 To me, the shops looked like what you find in any mall, except for the Bass Pro store, a huge one devoted to sporting equipment. 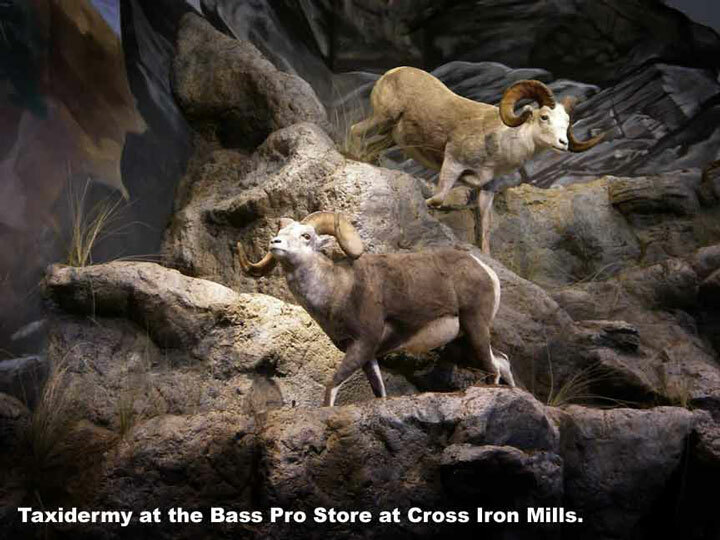 It reminded me of Cabela stores I have visited in the States, with wonderful taxidermy all over the store. It has two floors, where the rest of the mall is single storey. One of the nicest features of the mall is the wonderful hardwood flooring – many different woods, beautifully finished (presumably with a very tough varnish coat) and inlaid in many different patterns. The floor itself is worth the visit. There were few people in the mall when we visited, though I understand it gets pretty busy on weekends. It will be interesting to see how it makes out when finished. It’s a pretty good drive for almost everybody, but then I suppose for anyone living in the northern part of Calgary, it is about as handy as any of the city malls. About a quarter mile farther east you can see huge green metal buildings – there is a new race course there, and the green buildings are stables. Blaine says they have a capacity for 1,200 horses at a time. Apparently, the race track and the mall are all part of the same development. When we got to Cisna’s, there was snow on the ground, but it melted in less than a day. It has been cold, foggy and dreary most of the time since, but basically dry. Blaine and I went to Carstairs Saturday morning and drove through a serious blizzard, but by the time we had coffee and did a little shopping, the snow had all disappeared and the sun came out. Most of the sloughs are low, and some almost dry. I suspect a wet fall would be welcome in this country. There is a small country hall just west of Cisna’s place, called Westcott Hall. It is the community centre and there are many events during the year that bring the community together. Last night, they put on a pot-luck supper, so, of course, we went. There must have been eighty or so people there, many of them small children; all the children, and many of the adults, were in costume. The kids had a ball, running and dancing and fake-fighting, much of it at the tops of their lungs. Really fun to watch and I had forgotten my camera. Either it’s a young community or the old folks stay home; we were far and away the oldest ones there. I have either the beginnings of a cold or some allergies, and I do a lot of sneezing. Sandy and Blaine have two little house dogs, Ginger and Mojo, and whenever I sneeze, Ginger comes tearing over from wherever she is and jumps up on my lap and licks my face. I have learned to get my arms up to protect myself right after I sneeze. Yet, if Blaine sneezes, she pays no attention at all. Funny little pup. They have a video camera out in the kennel where they keep the new moms and their pups, and they can watch it on their big TV set. We spend a lot of time just watching the antics of the pups. Better than the programming they get.